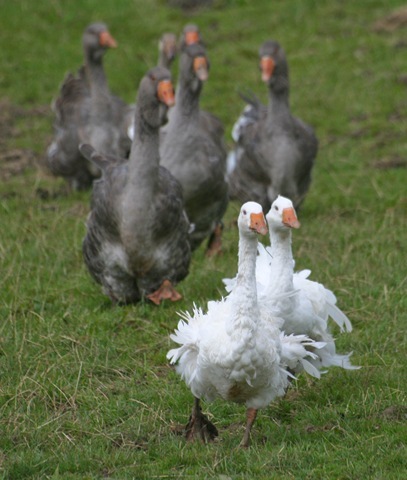 I didn’t realise that in some part of the world (but not Staffordshire I hasten to add) goose down for duvets and pillows is. plucked from live birds and the birds are ‘cropped’ every six weeks or so…..
Keep your chins up girls, you’re safe here. 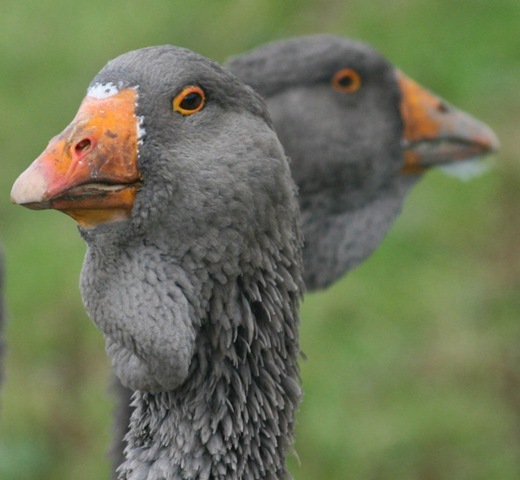 Categories: Birds, Family, Photography, Summer, World | Permalink. 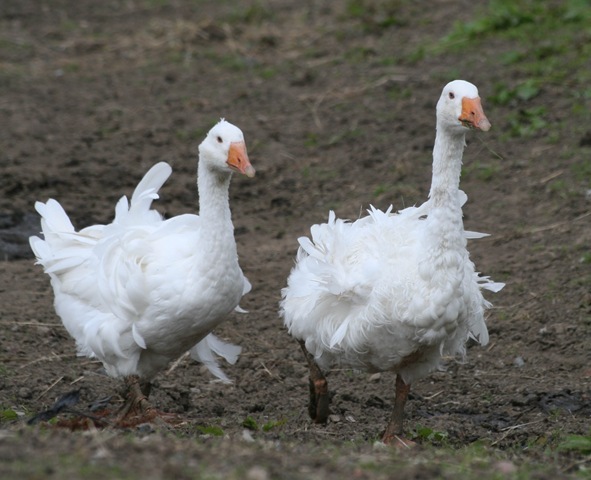 Love the disheveled geese, looks like a bad case of bed head. When are they ready to eat? As soon as you can catch them! Just to clarify. 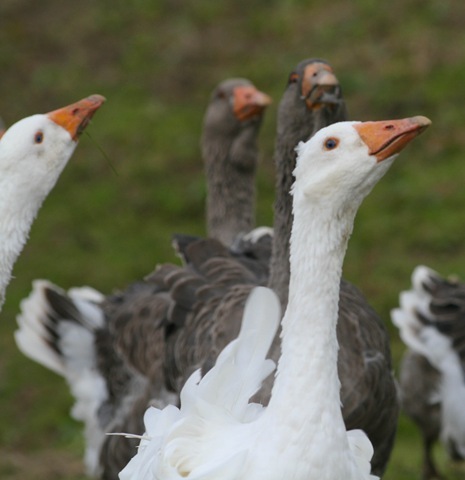 The naturally dishevelled geese are called Sebastapol geese. They look at their best during the Autumn. They really are meant to look like that … the fox didn’t have a go !